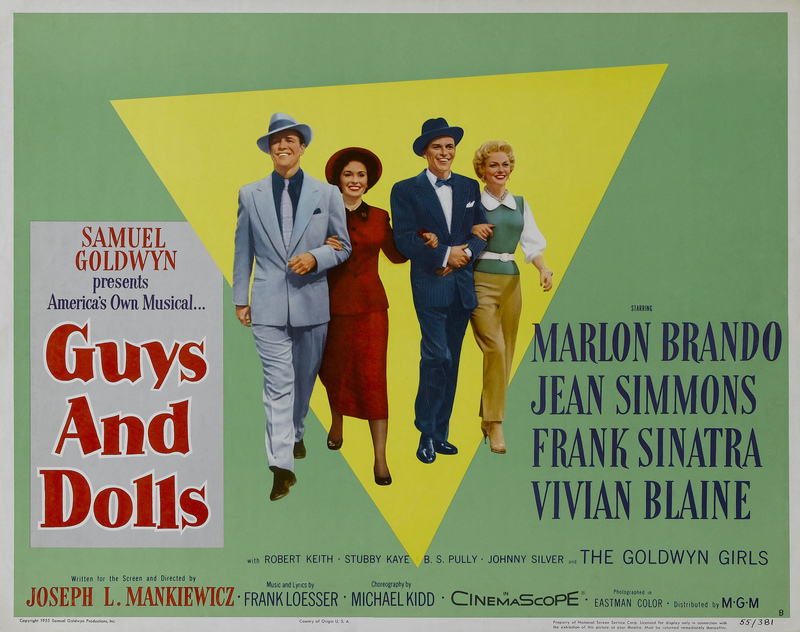 Guys and Dolls – Did You See That One? Sky Masterson (Brando) doesn’t turn down the chance to gamble. His most recent wager involves convincing missionary Sarah Brown (Simmons) to go with him to Havana. On the other end of the bet is Nathan Detroit (Sinatra), a gambler looking for the big score. Nathan is juggling his big chance with his feelings for Adelaide (Blaine), his forever-patient fiancee. In the 1950s audiences were treated to some of the greatest musicals ever made for the big screen. 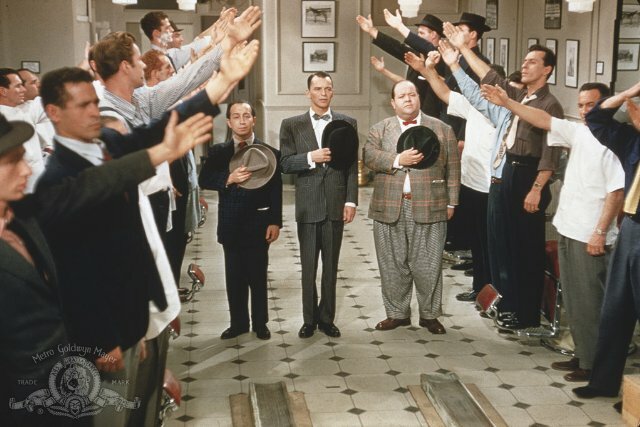 Films like Singing in the Rain and Funny Face were just a few of the hits. In between those two films was this 1955 classic. The story was written by Damon Runyon (The Pride of the Yankees), and originally adapted for the stage by Jo Swerling (It’s a Wonderful Life) and Abe Burrows (The Solid Gold Cadillac). Oscar winner Joseph L. Mankiewicz (All About Eve) took on the project, writing and directing it. The cast for the film includes legends like Marlon Brando (A Streetcar Named Desire) and Frank Sinatra (Suddenly). The leading ladies in the film are Jean Simmons (The Big Country) and Vivian Blaine (State Fair). This story lives within the conventions of the Hollywood musical, adding just the right twists to make it stand out. The music isn’t the only star thanks to multiple storylines that blend together nicely. In creating this subculture of gambling, the writing gives the story a chance to do some really fun things. The dialogue in the film is fun, written in an almost rhythmic style that keeps the pace of the film moving ahead nicely. The characters all have enough unique aspects that elevate them beyond stale stereotypes. With a run time of over two hours, this one does all the right things to make use of every second. 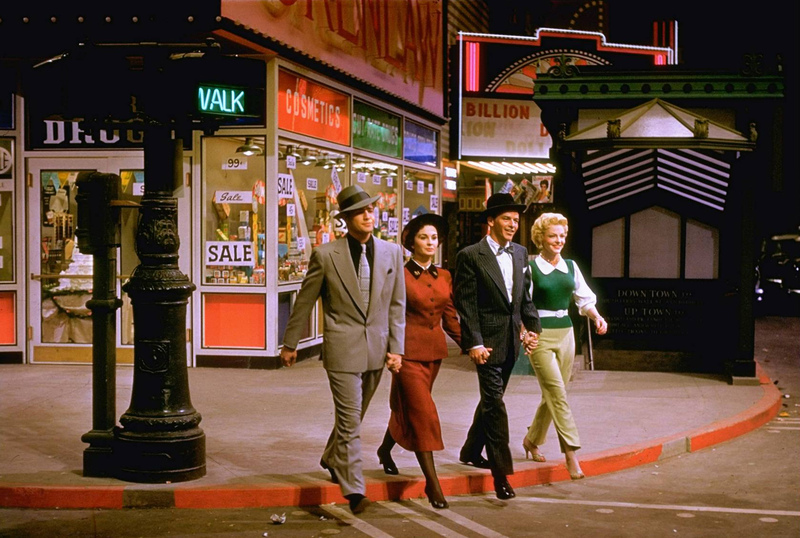 While some of the writing dates the film, it stands out as a great example of the genre from the golden age of musicals. The acting in this movie is pretty great. It’s important to note that Sinatra wasn’t the only one singing in the film. 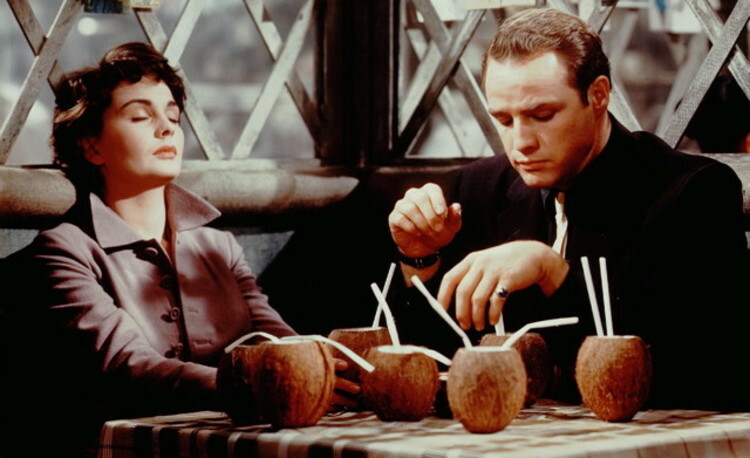 Marlon Brando and Jean Simmons both recorded their own singing parts for this film. This added element of talent really helps to make this one a little more special. Singing isn’t all these actors did a great job with in this one. 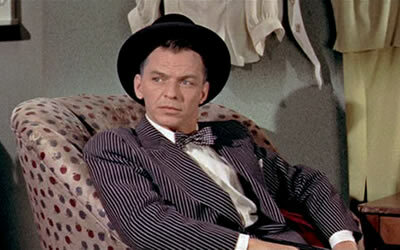 Frank Sinatra does a great job playing the free-spirited Nathan Detroit. His performance magnifies the precarious situation his character is in. This works well opposite the performance from Marlon Brando. Brando plays it cool and calm, just like the writing intended. This quiet confidence plays nicely throughout the film. This movie is an amazing display of color and choreography. The camera work helps to capture the large-scale dance numbers as well as the more intimate moments. Cinematographer Harry Stradling Sr. (Hello, Dolly!) did an excellent job capturing the action in this one. His work earned him an Oscar nomination for Best Color Cinematography. The movie also has some wonderfully designed sets that lean on the styling of a Broadway show. The fact that this looks like a stage play doesn’t hurt the movie. This work would earn the set decoration team an Oscar nomination for Best Set Decoration. 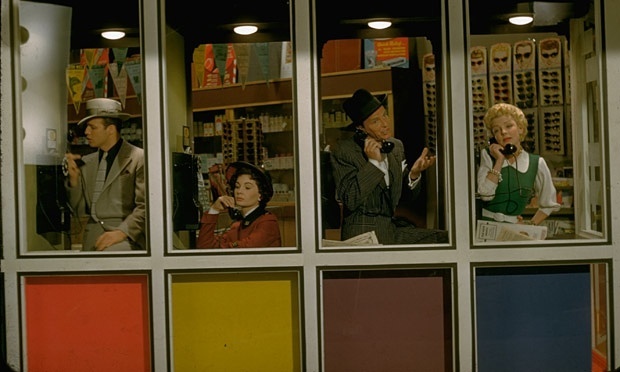 The film would also earn an Academy Award nomination for Best Costume Design. Frank Loesser (Neptune’s Daughter) put his touch on this one with some memorable music that gives this one the special touch that’s kept it relevant. The fourth Academy Award nomination for this film was for Best Score. This film can be placed among the great Hollywood musicals as a lasting example of how great this genre could be. There doesn’t seem to be anything missed in the overall production of this film. If you’re a fan of musicals this is one you have to see. There are a number of great songs that have since become standards throughout this one. I would also suggest this to fans of the stars in this one. It is a bit dated, so some people might not enjoy the way the story is told. Otherwise, there is not much to dislike about this film. I give this one 4.5 out of 5 stars. It does so many good things with the dialogue. Pingback: Take Me Out to the Ball Game | Did You See That One?